The 16 oz. 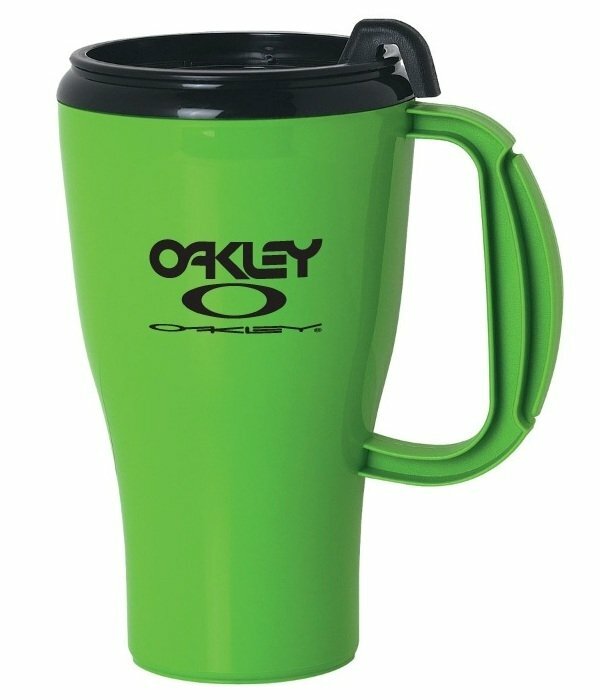 Omega Travel Mug has many colors available for your logo. Applications include medical, educational, mug for your promotions. ergonomic handle and thumb slide lid. Top rack wash safe. For hot or cold beverages. This plastic mug is 6 1/2 High. Plastic Mugs Colors link below for available colors. You MUST order in whole cartons of 48 units. This plastic mug is Made in the USA. Price includes a one color imprint one side area 2 1/8" w x 2" h.
add a setup and a running charge of $.39 each. Maximum two color imprint one side this mug. Logos do require Illustrator ai, eps, pdf art.